Planning a garden to feed us year round is quite a job for a family of six! It’s a little more complicated than it should be because I’m working in a tight space with intensive planting. By “group together” I don’t mean they are all in one group in the garden. I just make sure that anything in the squash family doesn’t go into the same area for four years. And I’ll just say right here that 4 year rotation is the goal, however, it doesn’t always happen. One group I am strict about not putting in same space until four years have passed is the nightshades (tomatoes, peppers, potatoes). In Arkansas’s hot and humid climate, my nightshades are the most susceptible to disease. The rotation helps to keep the diseases and pests from building up in one area. Those cute charts you see on Pinterest where everything rotates perfectly from one garden bed to the next doesn’t account for the fact that sometimes you need more space for one family than for others. That is the case with my garden. My nightshade group easily accounts for 40% of the space some years. The result of this dilemma is that I need to get creative. Last year, Cameron built me what I call the garden bump-out. The garden bump-out is a three sided fenced area for tomatoes outside the original fenced garden. The garden bump out for tomatoes worked like a charm! We have lots of deer so everything needs to be fenced. The garden bump-out is mobile and will be moving uphill from last year. And here is the other side of the garden in early spring. I included my grid on this image so you can see the scale. One square equals one foot. The fenced area of my main garden is 40ft x 80ft. This is roughly what it will look like in the spring to summer time frame. My garden beds sometimes go through three rounds of different crops before the winter. The only time anything lays fallow is winter time. And even then I’m usually trying to grow a cover crop to replenish nutrients because of my intensive planting. You can see in the above plan, that a good amount of the garden shifts to fall plants. Since I garden organically, I try and include as many flowers as possible to attract beneficial insects. I love the challenge of planting in a limited space and this year I am adding some vertical elements to the garden. Wire trellis will arch over two beds to create a place for cucumbers and beans to grow. 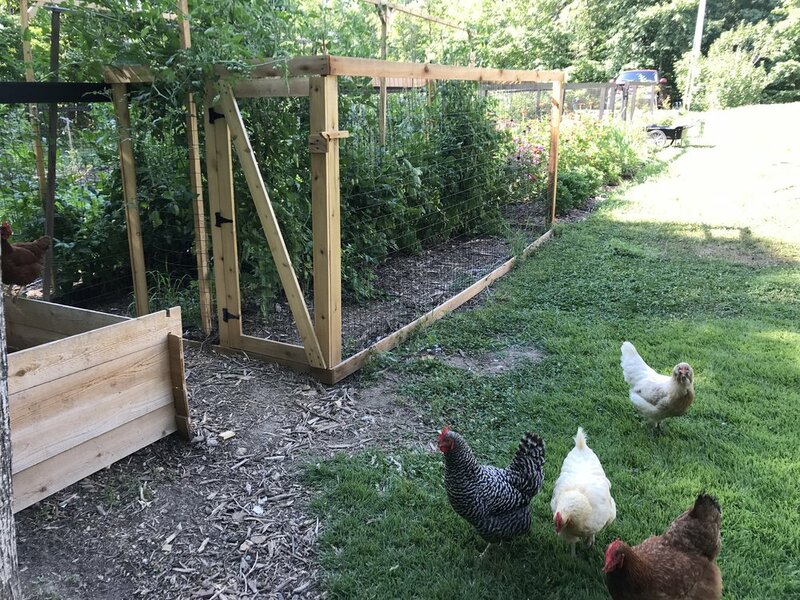 Dry beans are great for winter eating and I decided to incorporate more into my garden this year by using trellis over garden beds. We also have another garden space that we created in the backyard when we first moved in to our home. When I only had this small space, I did a lot of companion planting. I’m not quite as crazy about companion planting now as I used to be. The reason for this being I have a much larger area to plant. However, some companion planting comes naturally because I’m trying to squeeze in more veggies. For example, above I plant radishes before the lemon squash gets large. I also plant my potatoes and beans together if I can. 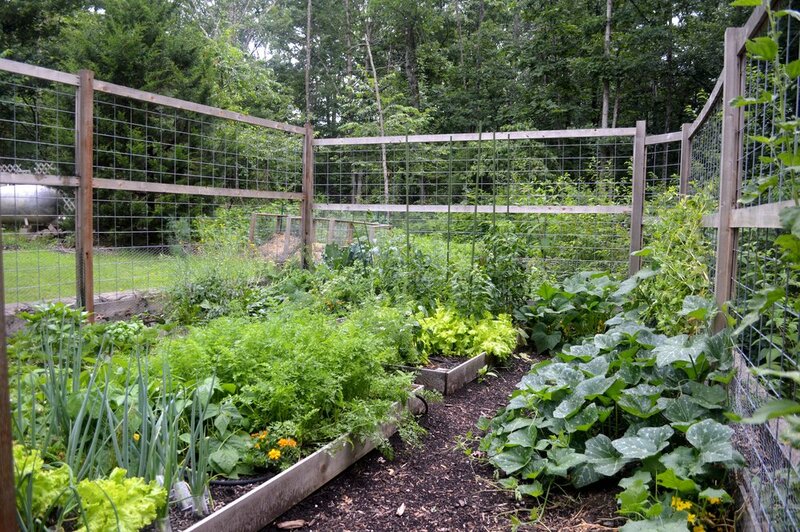 The companion planting grouping has been prove through studies to help repel each others pests. Winter Squash has a small space this year because I’m going to train it up the fence that surrounds this garden. Planning early helps you to know how much you need when you start your indoor seedlings. Also, when you get to spring and you’re frantically get your plants into the garden it is so nice to know what’s going where! For the last 5 years we have lived in our fixer upper home. We’ve done little projects here and there but now we are getting to the good stuff.